Happy Vegan MoFo! I am going to loosely apply the weekly themes to my travel posts this month, and week one is Treat Yourself. This means I’m essentially posting about cake a lot this week! As I explained yesterday, I’m posting about one restaurant and one activity in a different city every day this month. I’m kicking off with Vienna, because not only was there cake, but it was also Halloween-themed. That’s only a day late! 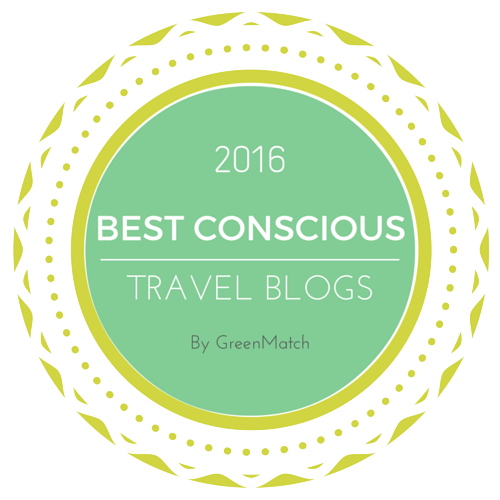 We were in Vienna in late October 2015, and we thought it was just amazing (read more about my trip here and here). Like many big European cities, it is a paradise for vegans. And everywhere you look there is something old or grand or beautiful to see, or more likely all three at once. While it may be most famous for the grandeur of the old buildings, the ones that really turned my head were a little more modern and looked like they had escaped the pages of a Roald Dahl book. 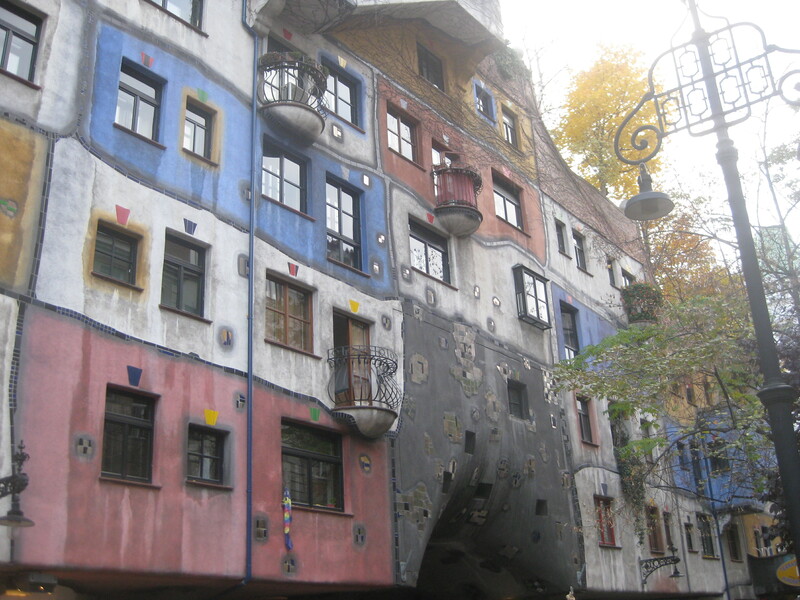 This is Hundertwasserhaus, an apartment building designed in the 1980s by Austrian artist Friedrich Hundertwasser. It’s colourful, with lots of fun little details to observe, and trees and plants shooting out in surprising places. From this building, you are just a few minutes walk away from Kunst Haus Wien, a museum for Hundertwasser’s paintings. Photography wasn’t allowed in there, but his work is mere moments away on Google, and again, the building is a work of art (alas, no pictures as it was too dark) inside and out, with wave-like floors, colourful pillars and an impressive array of art. The paintings are usually in bold, often primary colours, strong shapes, some shiny metallics thrown in. There are lots of cityscapes and natural landscapes, and also lots of faces and lollipop trees, everything really dreamlike and beautiful. The museum also houses models of the other buildings Hundertwasser designed, which is how we found out about Müllverbrennungsanlage Spittelau, a large thermal waste plant in the city. So that was our destination the next morning, and fortunately it’s right outside the Spittelau metro stop so we didn’t need to worry about getting lost. The building is too big to fit into one little picture, but this gives you some idea. It was very impressive indeed: imagine winning a golden ticket to look around this place! Spittelau was only one stop away from our airbnb on the metro. One stop in the other direction brought us close to Nom Nom Bakery. Do I wish I had checked its location sooner and realised how close it was? Of course. But we’re already daydreaming about a return to Vienna, so I’ll be on it then. As it was, we only managed one visit, but it was a good one. Nom Nom Bakery is more of a cafe than a bakery, but there were only two little tables, so I suppose it is geared towards takeaway. There were a good few varieties of cupcake, along with some cookies and other bakes, and a hot drinks selection. 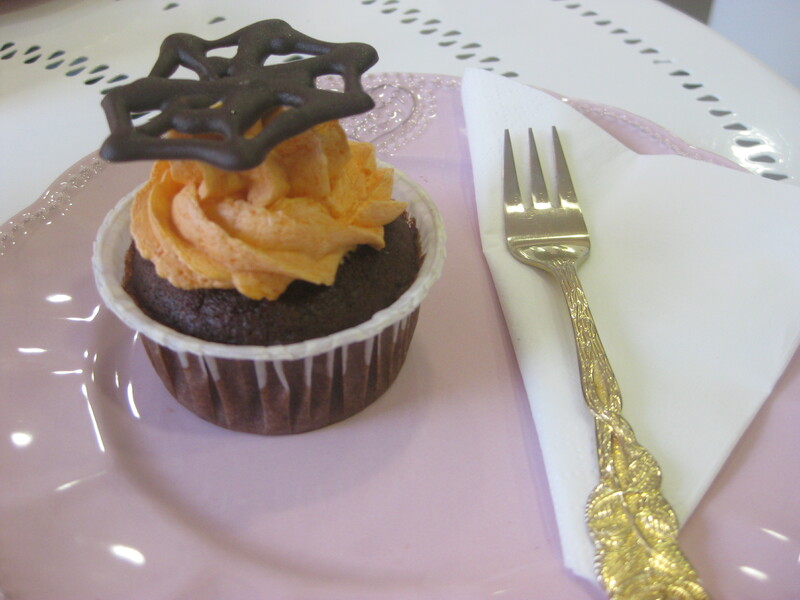 As it was almost Halloween, I had this spooky cupcake. There was a variety of different decorations, but I loved this web. The chocolate sponge was nice and moist, and the icing was a vivid orange and not too sweet or gritty, as icing sometimes is. It was lovely! Dr HH went for something a bit more substantial, but we didn’t catch its name. It was probably better than my cupcake, purely because it was more exciting. 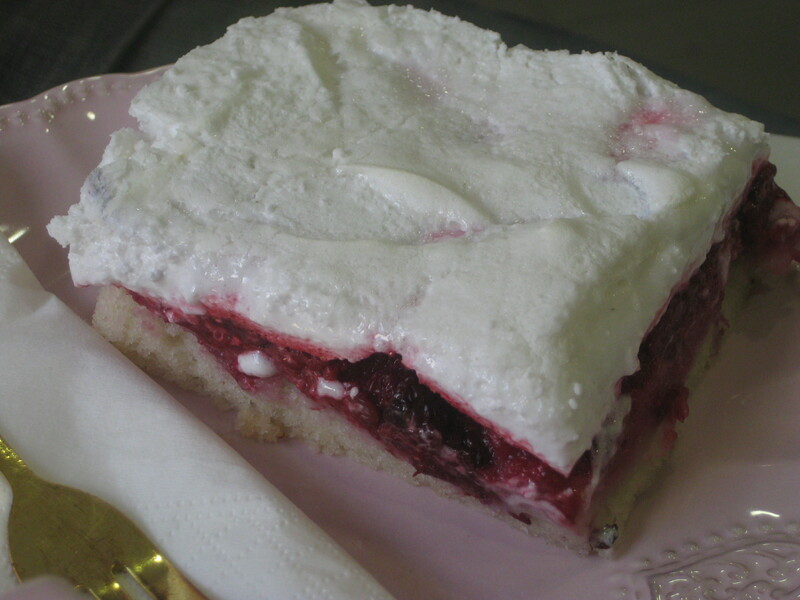 There was sponge on the bottom, a layer of raspberries, and then a meringue-style topping: crusty on top, marshmallowy underneath. It was sweet, and tart, and amazing. 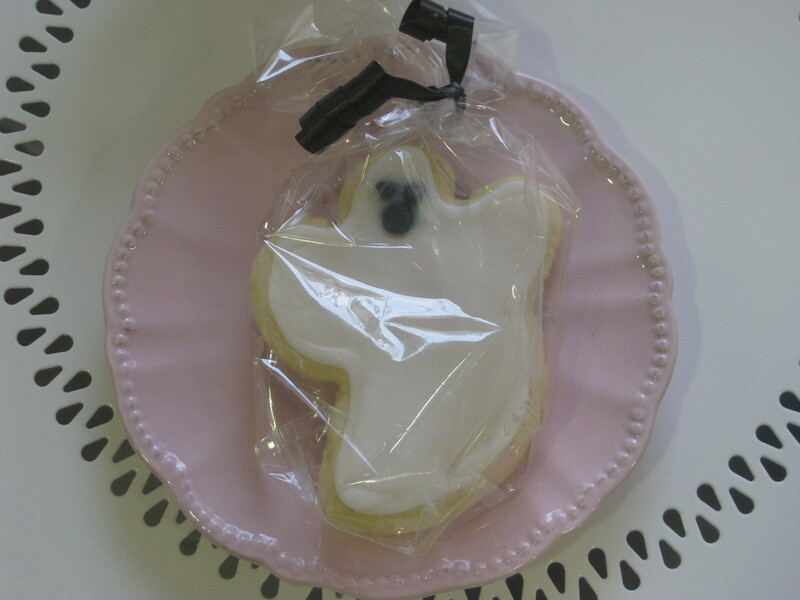 I couldn’t resist a cute little ghost cookie to take away for later, purely in the name of research. Dr HH felt that this time the icing was a little too sweet, but I thought it perfect. A good biscuit, and lovely icing. Unfortunately, Nom Nom is only open in the afternoon Monday-Saturday – imagine if they did croissants for breakfast! Even without breakfast baked goods, I’d highly recommend this place. Everything is vegan, the staff were really friendly, and the food was good. 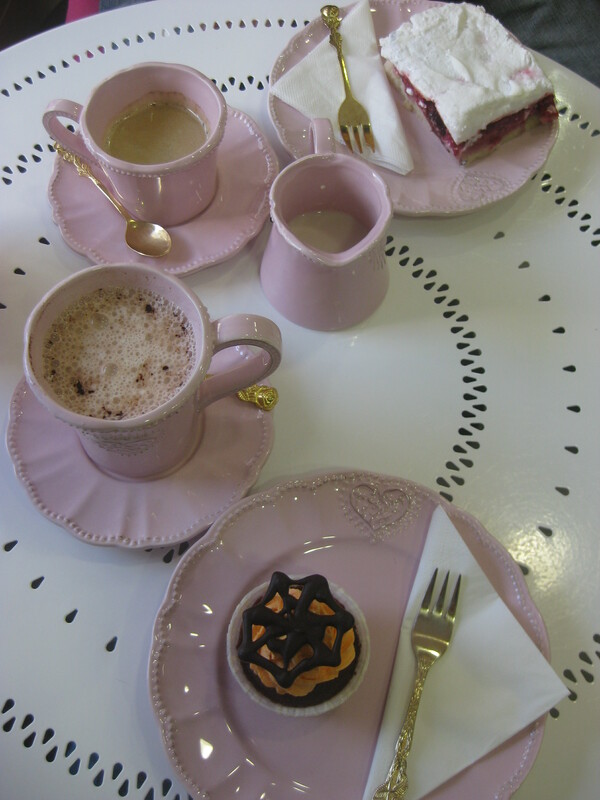 The place is a little pink, but when there’s good cake to be had, who cares?! 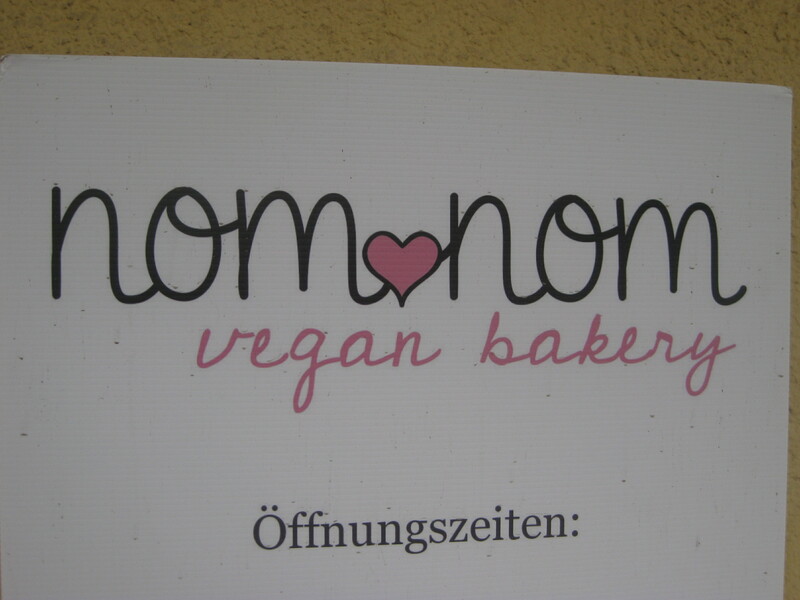 This entry was posted in Travel, Vegan Mofo and tagged Nom Nom Bakery Vienna, vegan bakery, vegan travel, vegan Vienna, veganmofo, vgnmf16. Bookmark the permalink. Such cute desserts, I love the ghost cookie! I know, it was irresistible! I loved Vienna way more than I thought I would when I visited, especially the food. I’d love to go back. That cupcake looks just what I want to eat right now! I remember we did exceptionally well for cake when we were there! I’d love to go back too. Loving your theme, by the way. More fuel for my wanderlust (and, um, constant hunger). Ah, there were so many great places to eat in Vienna, I feel like I could go again and eat at completely different places the second time. And I know what you mean, last year I spent VeganMoFo feeling constantly starving from looking at all the mouthwatering food! Those buildings look so cool! It is odd since I am so use to seeing really old European building on your blog XD But they are still really nice looking, just different. That raspberry sponge cake looked pretty yummy. Vienna definitely had its share of grand old buildings too, it was very similar to Prague. It was really nice to see something modern and different. There’s a modern building here called the dancing house, and it’s not very popular with the locals, so it was nice to see some modern architecture being embraced in Vienna.